Preparing for a presentation can be stressful enough, and the last thing you want to worry about is how you’re going to get your poster printed without breaking the bank. 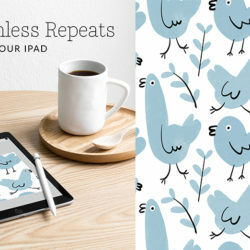 Enter Spoonflower, where you can get a wrinkle and tear-free fabric poster printed for under $25. 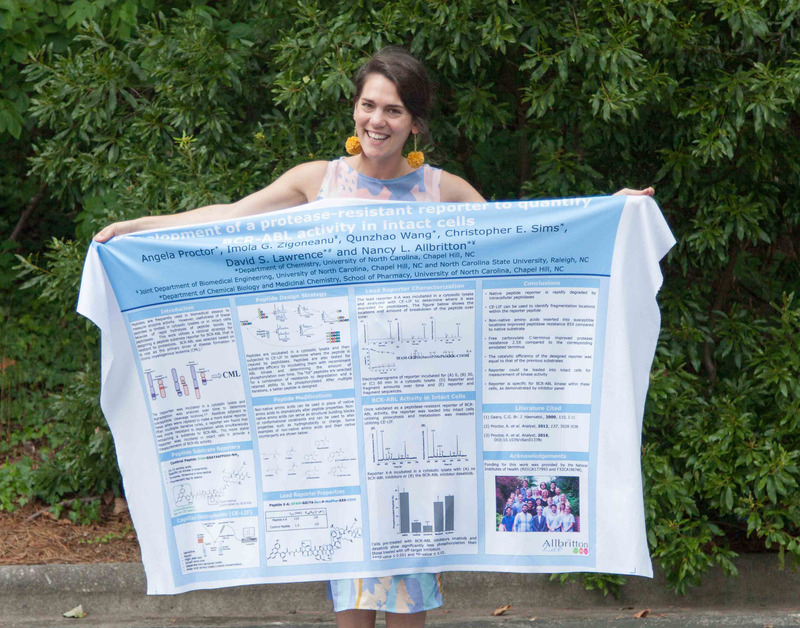 You may have seen our poster design tutorial featuring the free program Canva, but today, Spoonflower community member and UNC research scientist, Angie Proctor, is sharing how she uses PowerPoint and Spoonflower to print her presentation posters. 1. 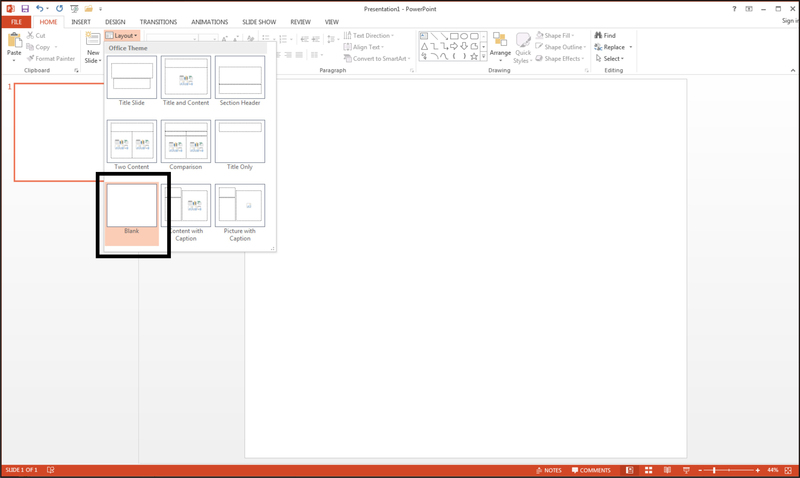 Within PowerPoint, select the “Design” menu and the “Slide View” option. Select the “Custom Slide Size” option from the drop down menu. 2. 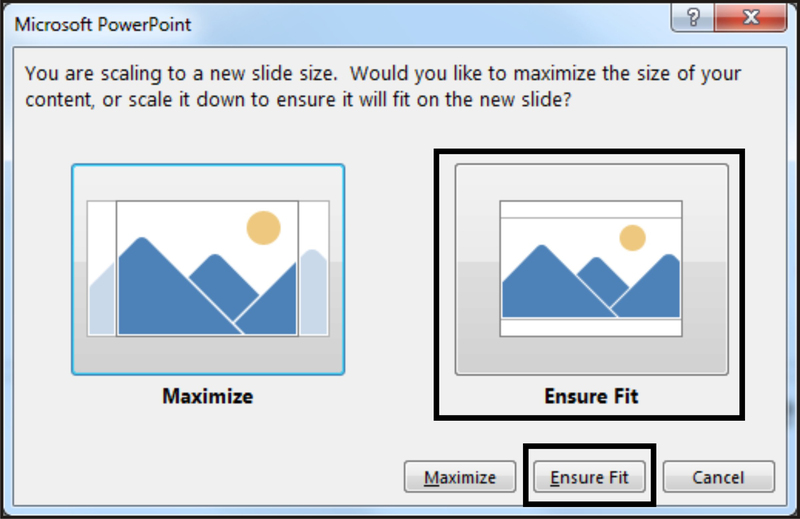 PowerPoint can have a difficult time managing large files sizes, so you will want to adjust your file to be half the final size of your poster. I want my final poster to be 42” wide and 36” tall, so I will make my slide size 21” wide and 18” tall. In the pop-up box, change the width measurement to half of your desired width (in this case, 21 in) and the height measurement to half of your desired height (in this case, 18 in.) Click OK to proceed. 3. 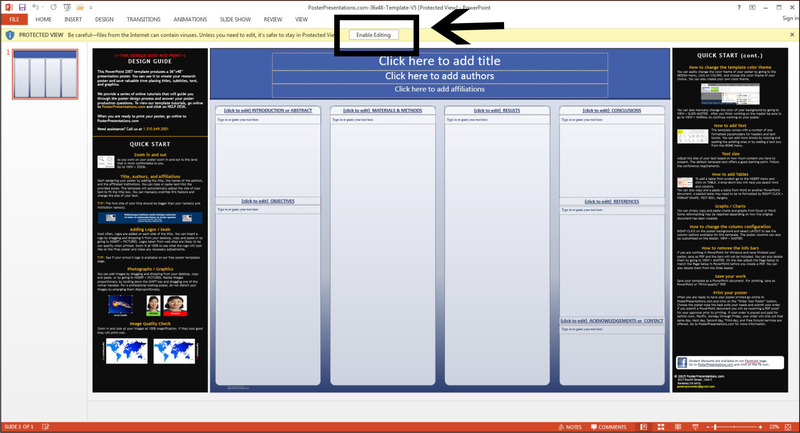 In the following pop-up box, select “Ensure Fit” to make sure everything will be on the final poster area. Once your poster is complete, jump ahead to see how to prepare your file for printing. 1. 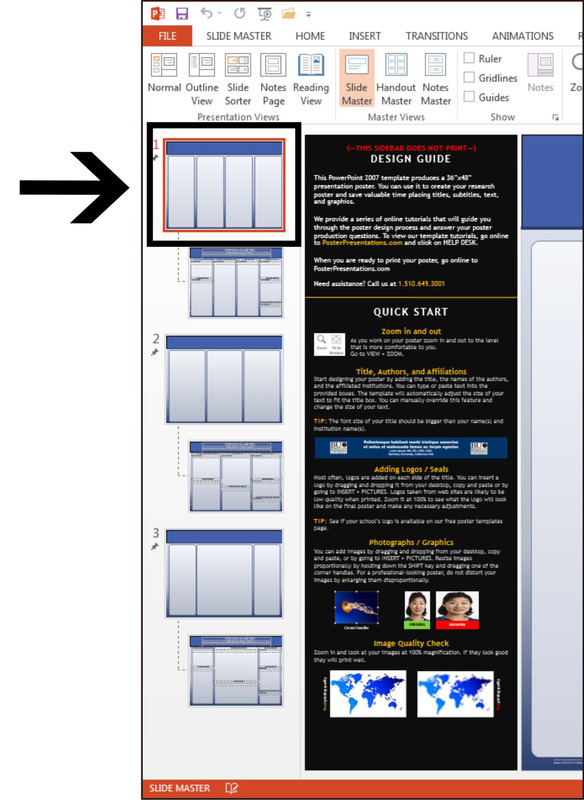 If you prefer to use an existing template, my method of choice, you can do a quick Google search for lots of free poster templates. Once you’ve selected the template format, download the file to your computer. If you don’t find the exact template you need, keep in mind that you can change the colors and arrangements in PowerPoint, so select one that is close to what you want. 2. 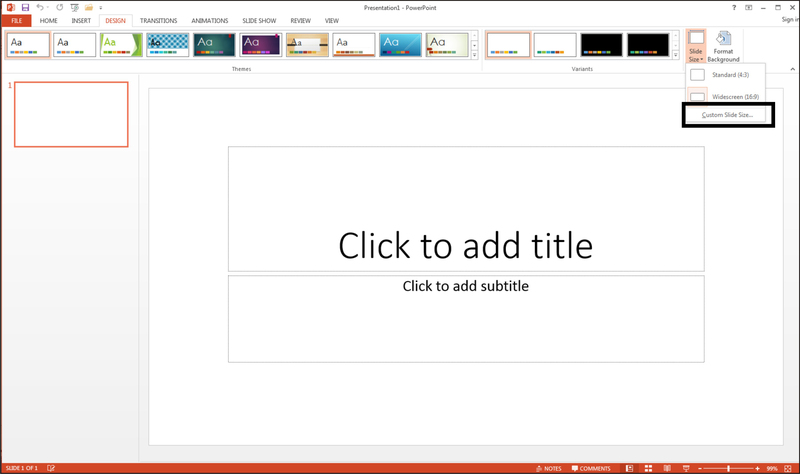 Open the template on your computer by selecting “Open with Microsoft PowerPoint” and select the OK button. 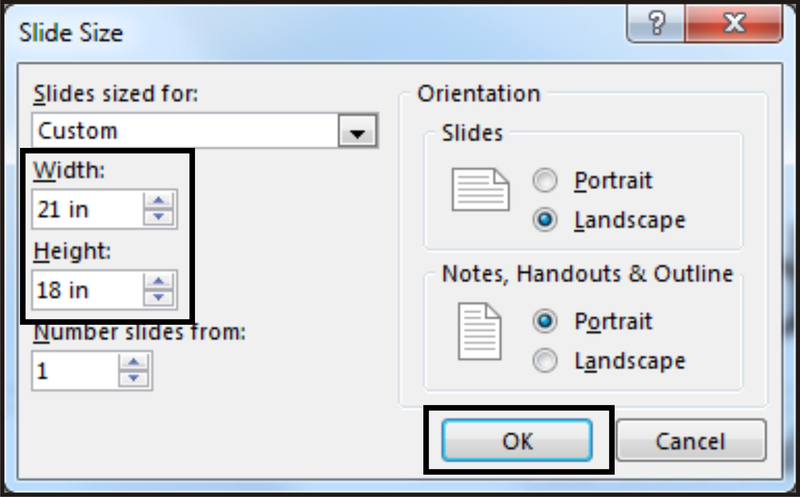 You may have to use the dropdown menu to select PowerPoint if it is not already selected. 5. 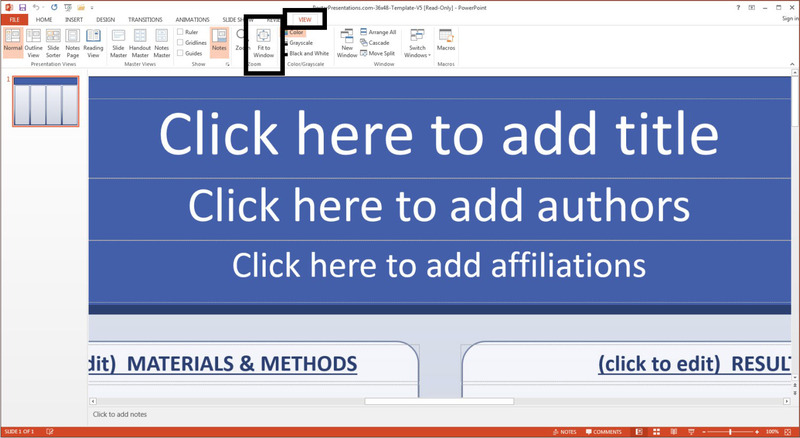 Once the file opens in PowerPoint, click the “Enable Editing” button to allow you to make changes to the poster template and to save the file. Pro tip: The black sidebars on the templates from PosterPresentations.com will not print on your final poster. 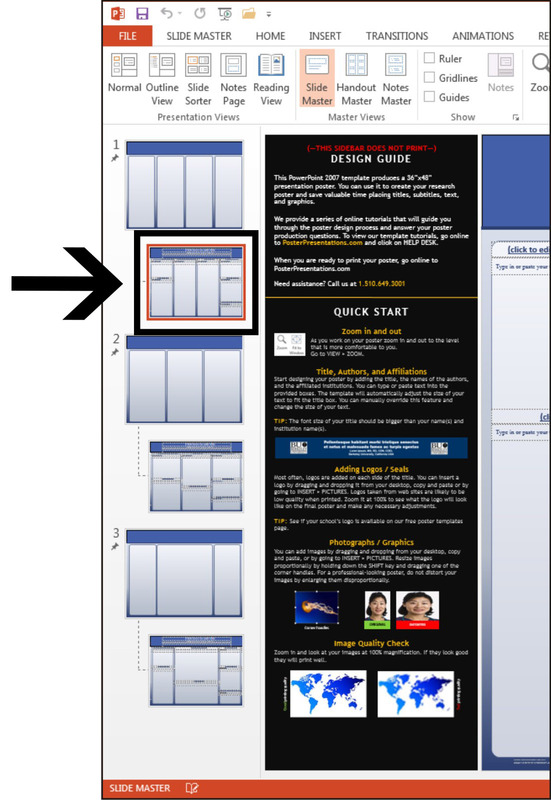 The template includes useful information on them for how to design and modify your poster. 6. 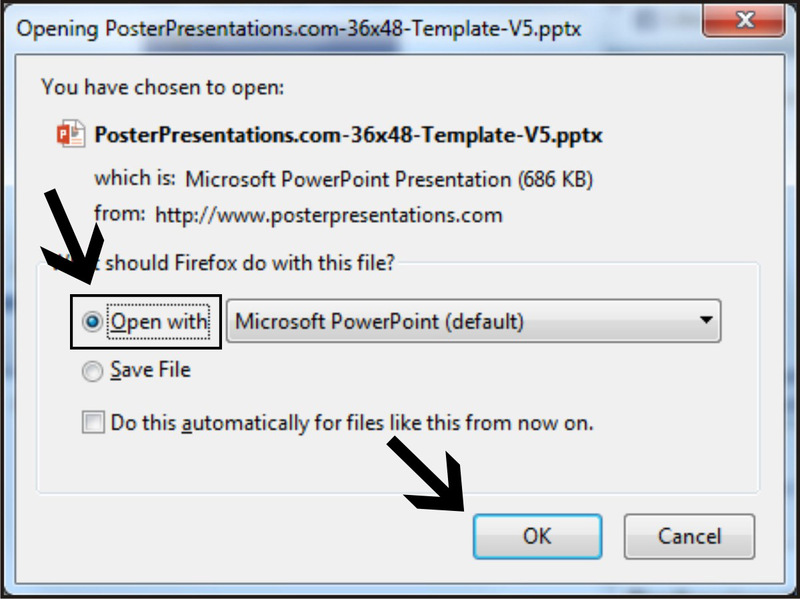 Before proceeding to make your poster, save the poster template by going to the “File” menu option on the top menu bar and selecting the “Save As” option. Save your poster template to your desired location on the computer or an alternative drive. 7. If you want to change the colors/layout/default font/etc., go to the “View” menu in the upper toolbar and select “Slide Master” in the lower tool bar. 8. 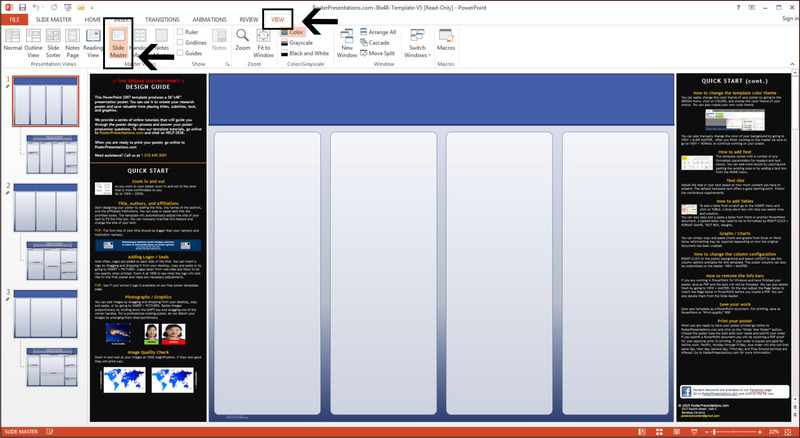 In the Slide Master window, make sure the #1 slide is selected to change default colors and column size/layout. You can adjust these until they match what you want for your final poster. 9. In the Slide Master window, click on the sub-slide below the #1 slide to change the default font size/color/etc. 10. 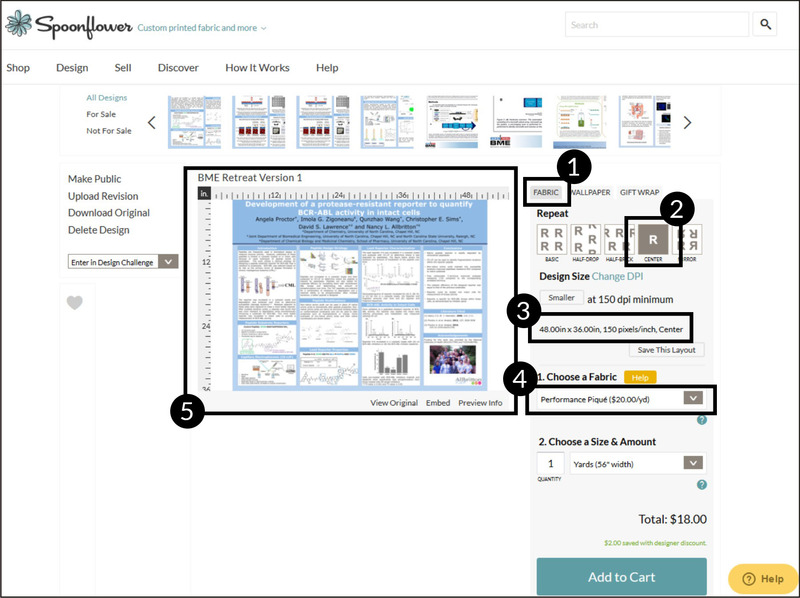 Once you have changed the default values to get the framework of the poster you want, create your poster by importing figures, plots, tables, pictures, etc. and design your poster to look how you want it to. Use high resolution images and figures in this initial design period to ensure that they are not pixelated in the final version. A good way to check this is to look at the poster in the 100% zoom option—this will give you the best idea of what it will look like when printed. Go to the “View” tab and select the “Zoom” option. 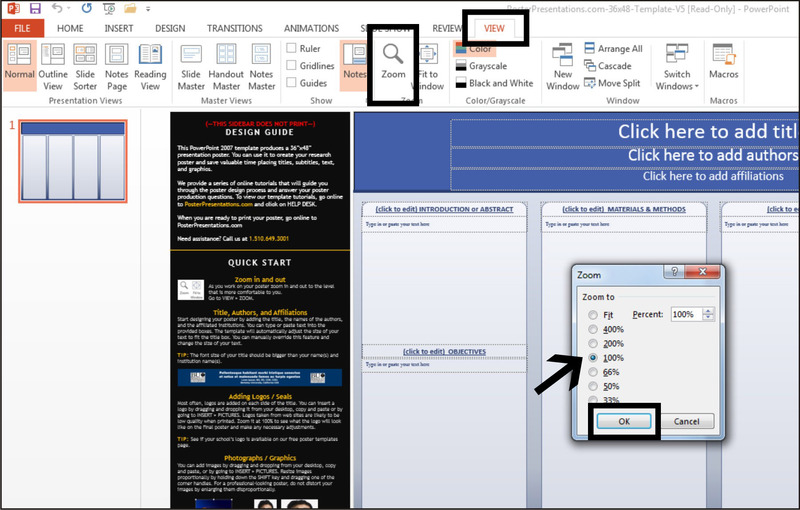 In the popup window, select “100%” and click the “OK” button to proceed. 11. To return to the full view of your poster, go to the “View” tab and select the “Fit to Window” option. 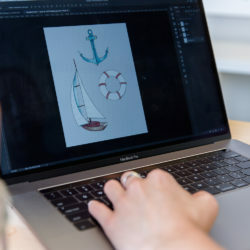 Once your poster is completely finished and looks exactly as you want it to, you will need to convert your file first to a PDF and then to a JPG for final uploading to Spoonflower. To convert your file, follow the instructions below. 13. Also in the popup box, ensure that the “Open file after publishing” and the “Standard (publishing online and printing)” options are selected. Click the “Save” button to save the file. The PDF version should open when this is completed. 14. Check this file carefully! This is what your final poster will look like, so if there are any conversion issues with PowerPoint, you will need to go back into the PowerPoint file to correct the changes. 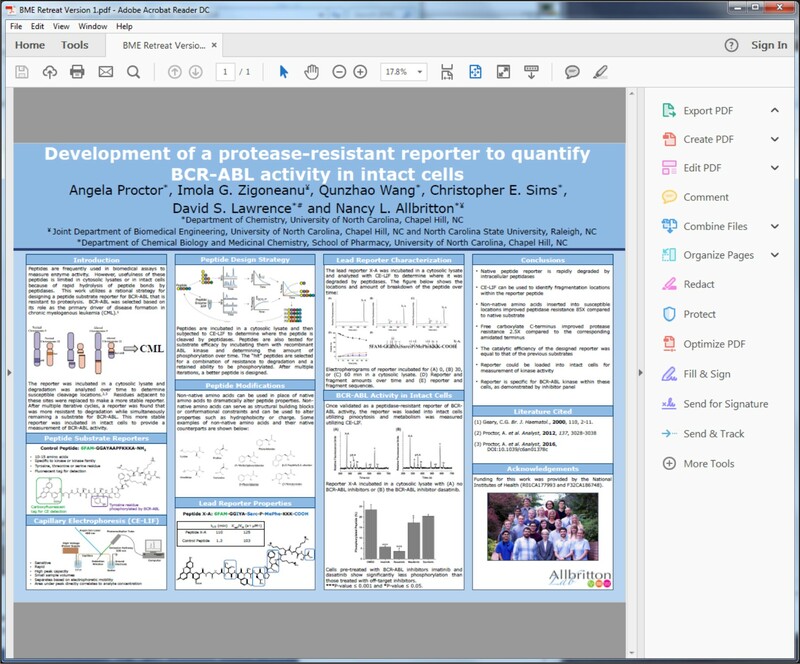 The black side panels should NOT be present in the PDF version of your poster. Important Note! 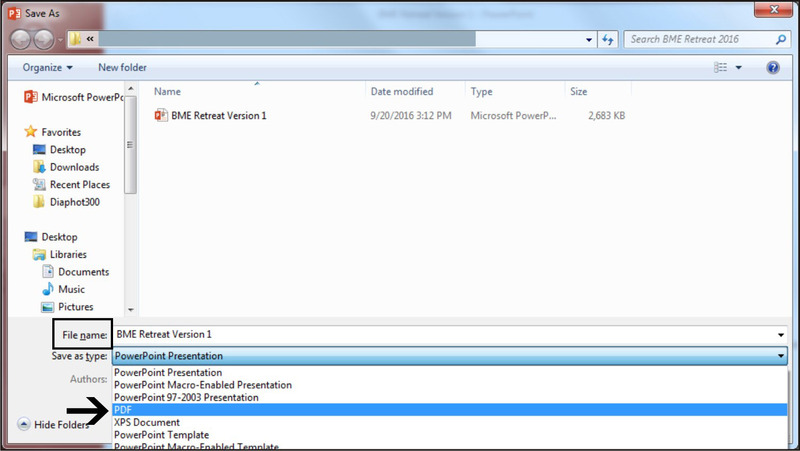 We do not advise downloading your PowerPoint presentation as a JPG. 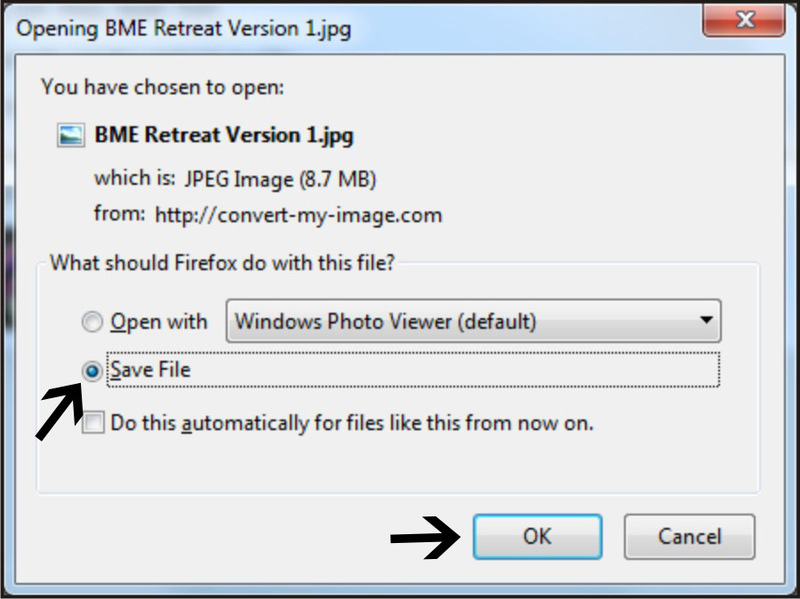 While there is an option to save the file as a JPG on a PC, there is no option to specify the quality of the newly created image. As a result, you are unable to verify the image quality of the JPG. 15. 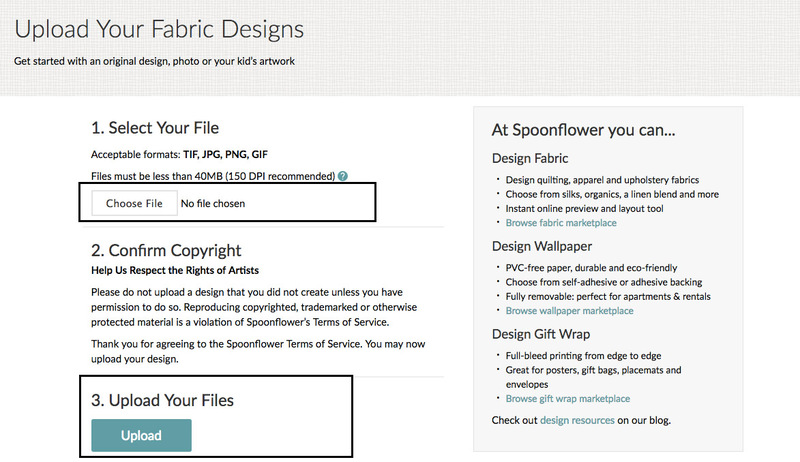 Spoonflower does not accept PDFs for printing, so you will need to convert your PDF to a JPG file that has at least 150 pixels per inch (dpi) for printing. All of my posters are set at 300 dpi which I will use in this example. The easiest way to do this is with an online file converter. 16. 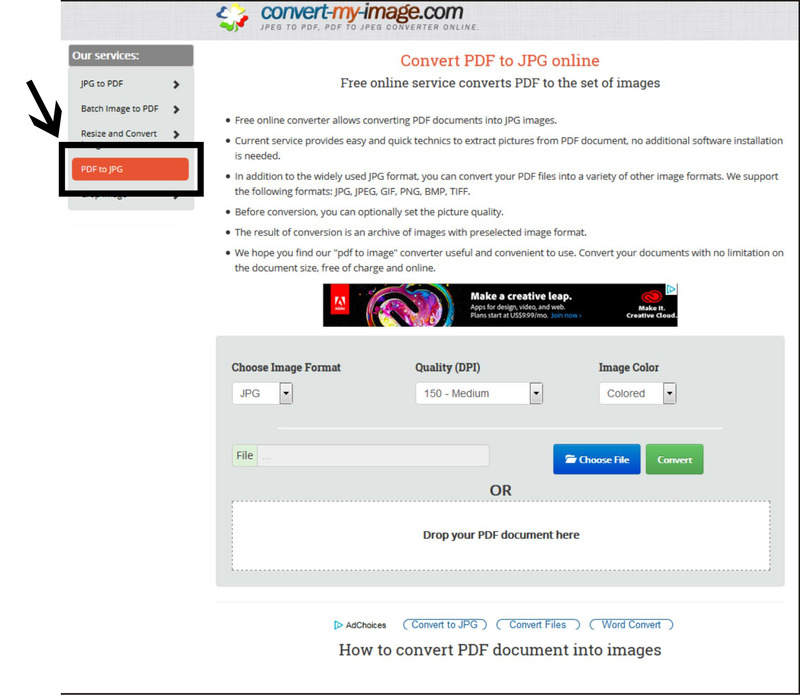 A good online site to convert your file from PDF to JPG is convert-my-image.com Once on this site, select the “PDF to JPG” option on the lefthand menu. 17. In the gray box in the center of the page, select the following settings: “Choose image format” as “JPG”; “Quality (DPI)” as “300 – Above Medium”; and “Image Color” as “Colored”. Once you have selected all of these, click on the “Choose File” button to select your PDF poster. 18. Once the conversion is complete, a popup box will appear. Click on the “Save File” option and the “OK” button to save your JPG to the correct location. If you do not have an account, create one by selecting the “Join” option in the upper right corner and then select “Create an Account” to enter your information. 20. Once logged in, go to the “Design” menu and select “Upload”. 21. On the “Upload Your Designs” page, follow the instructions for Steps 1-3. First, use the “Browse” button to select your JPG file of your poster. Second, confirm that your poster is your original design and that you have the right to print the file. Lastly, click on the “Upload” button (this will not become active until you confirm the copyright). 22. 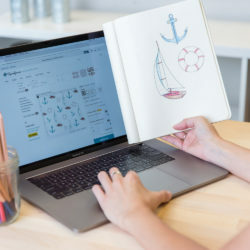 Once your file has been uploaded, it will direct you to a new page, showing your poster as a design preview on the left and several options on the right. There are multiple items to select on this page to ensure your poster will print correctly. Select the Fabric tab on the right. 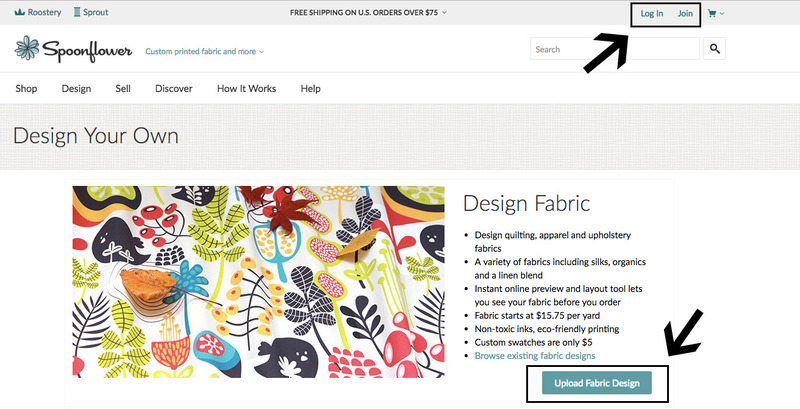 Choose the “Center” option so your design is centered in the middle of the fabric. Verify that the sizing of your poster is what you expect it to be (in this case, 48” x 36”). Choose the “Performance Pique” fabric selection from the dropdown menu. Performance Pique is wrinkle free, doesn’t require ironing, and the edges will not fray, so there is no need for hemming. Verify that your poster fits in the design area and is the appropriate size based on the rulers on the left and top of your poster. 23. Select the “Add to Cart” button to move to the final phase of ordering your poster. Finally, go to your cart and click on the “Proceed to Checkout” button to enter your payment and shipping information. I prefer to use the rush shipping, as it will arrive much faster and the total price is still less than the price of a paper poster, without the hassle of hauling a poster tube around! If you choose the regular shipping, be aware that this can take 2 weeks to print, process, and ship, so be sure to plan accordingly. No hemming required on our recommended Performance Piqué fabric–simply trim the edges and display your work! 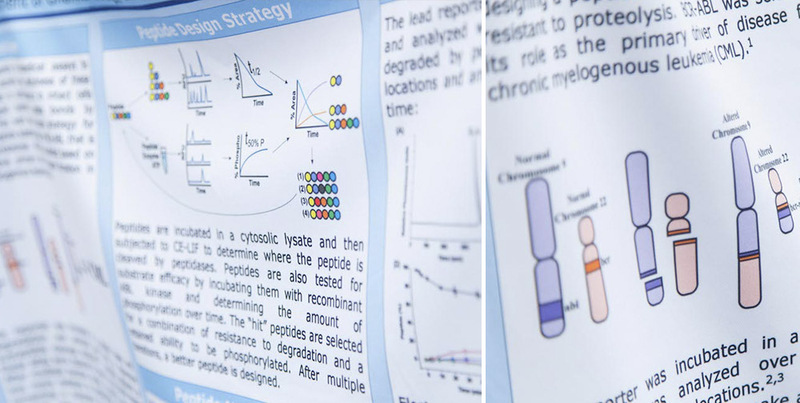 Your fabric poster can be folded up to easily fit in carry-on luggage and is a cinch to pin up on a poster board for your presentation. Whether you create your own template or use one from online, I hope you enjoy your fabric posters as much as I do! For even more information about Spoonflower’s research poster printing services and group rates, click here. 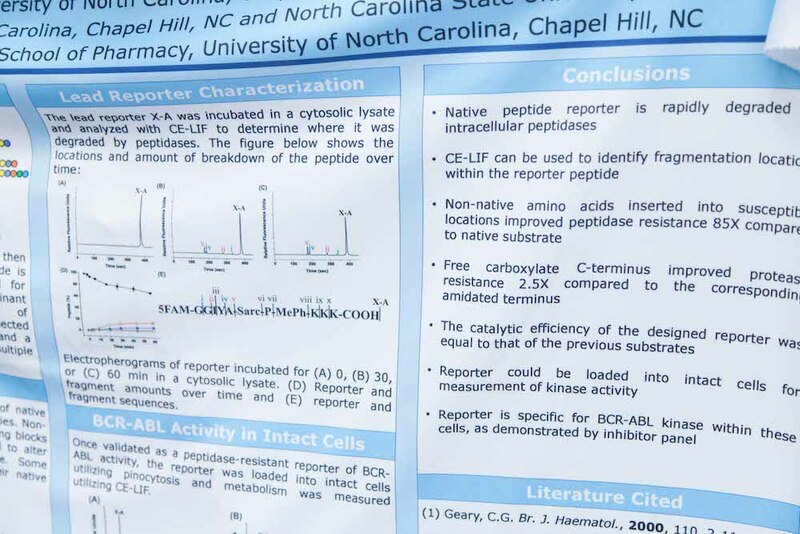 Have you used Spoonflower for printing a research poster? We’ve love to know! Share your poster pictures on social media with #spoonflower or leave a comment below. 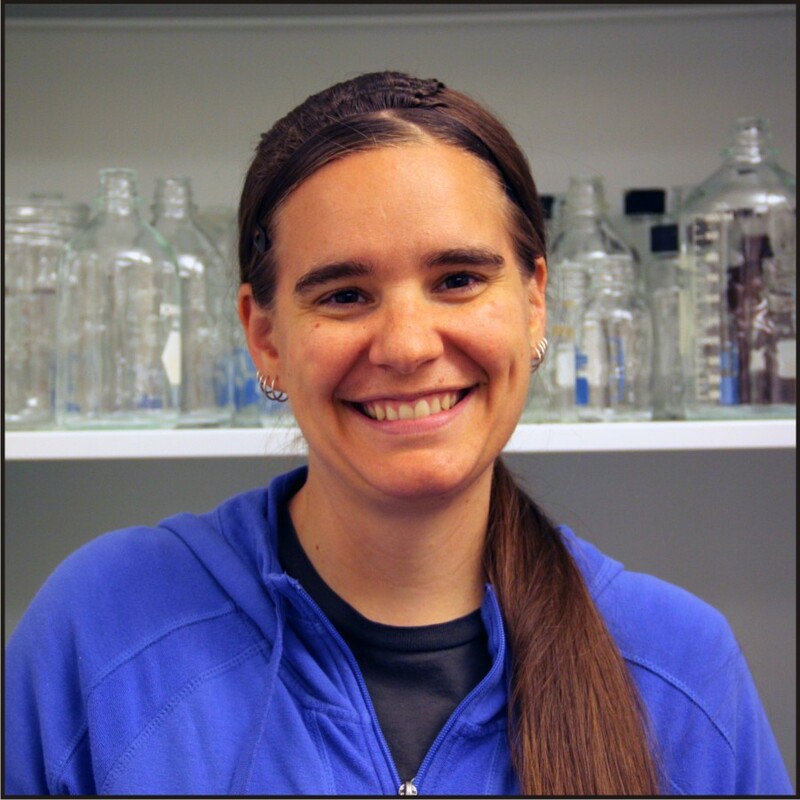 Angie Proctor is a research scientist at the University of North Carolina in Chapel Hill and is an avid quilt designer and sewist. Her first introduction to Spoonflower was in 2014 when she was making a dinosaur quilt and found the perfect fabric at Spoonflower. 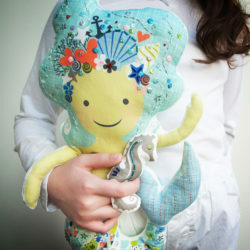 Since then, she has collaborated with Spoonflower at multiple charity sew-in and community sewing events. During a tour of the Spoonflower facilities, she learned about the scientific poster printing, and has been exclusively printing her posters at Spoonflower ever since. When she is not working in the lab, you can find Angie attempting to garden or creating quilts in her dedicated sewing room.